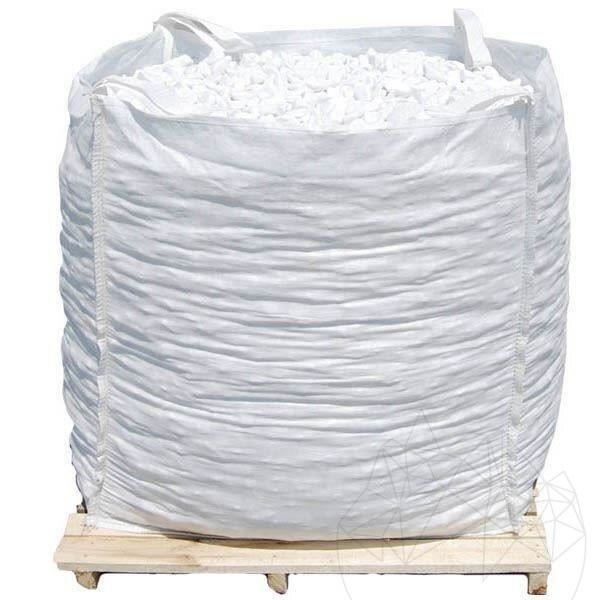 Product is sold only in multiples of: 1 x Bag/Piece. Minimum order: 1 x Bag. 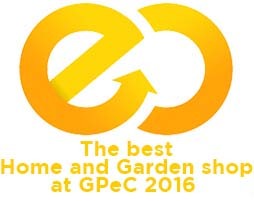 The best sold ornamental stone, chosen by our customers for the sumptuousness and the distinction that in brings into exterior arrangements. 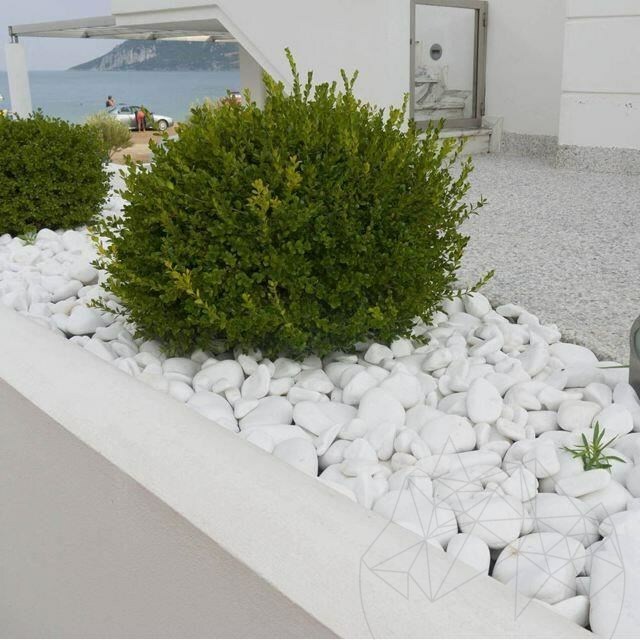 The Thassos Pebble tumbled marble comes with rounded edges and makes an impression through its unique aspect: modern minimalism and the perfection of its nearly immaculate white texture. 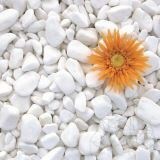 This decorative stone can be used in designs near flowers, in building alleys and fences or for vertical indoor or outdoor claddings. 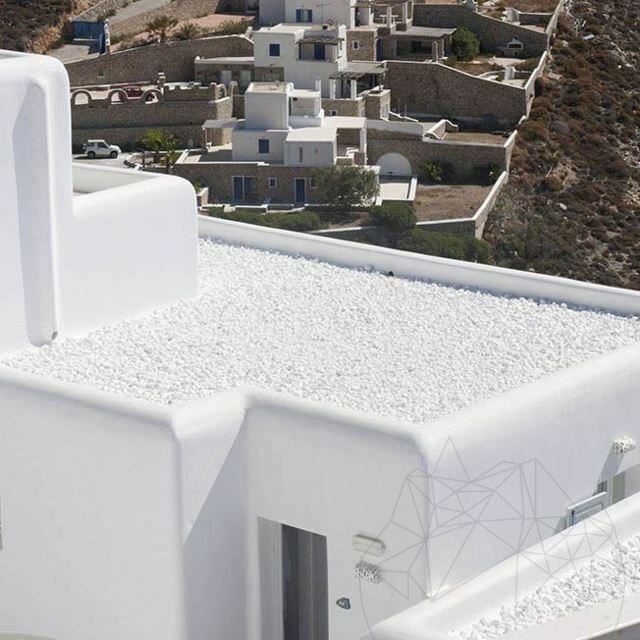 An even greater idea would be to use this remarkable white marble as an ornament for roofs, combined with other similar decorative stones or not. 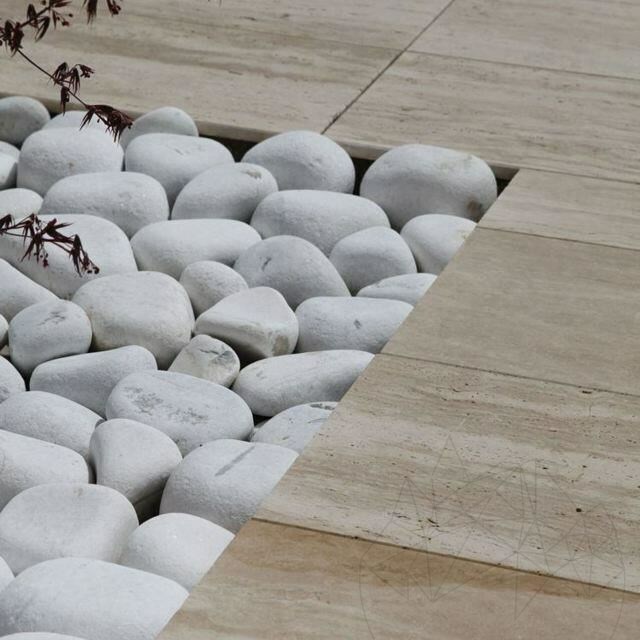 The term ''Pebble'' stands for granulated tumbled (rounded) decorative stone used with decorative purposes in gardens. 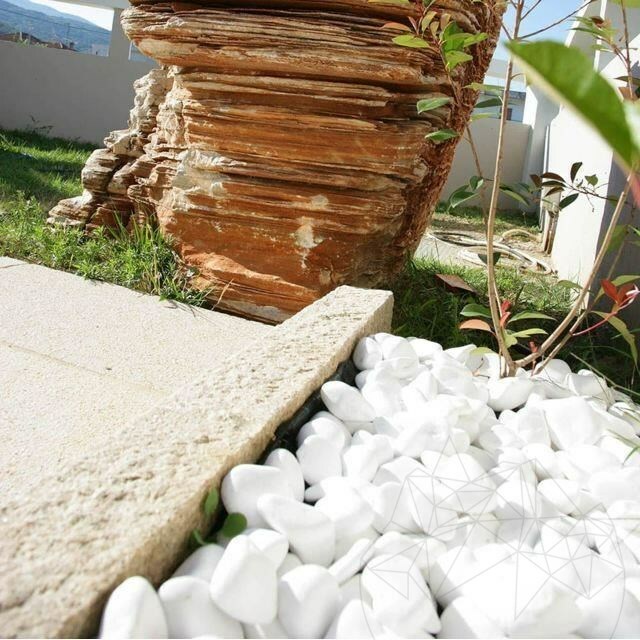 Eco friendly material obtained out of white milky Thassos marble which does not contain harmful elements in its structure. It is most often used in garden decorations next to flowers, in decorations, simple garden stone designs, interior or exterior vertical claddings. 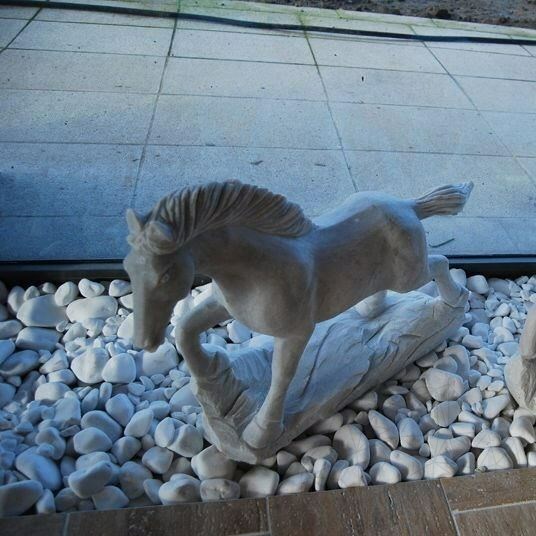 Usage: This superb white marble allows you to create landscaping works in both public and private areas. 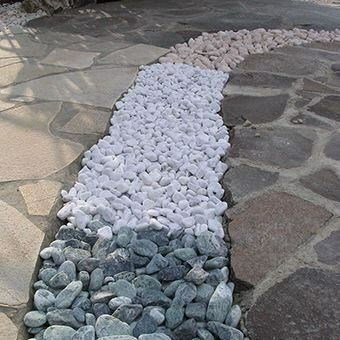 In this way you can arrange alleys in parks, squares, commercial centers etc. 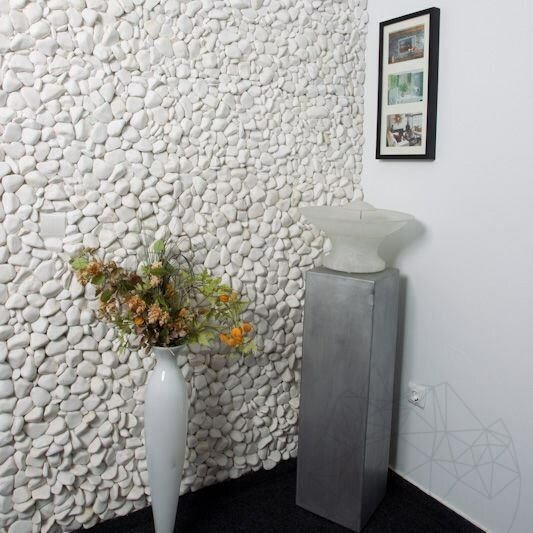 You can also use it for vertical claddings on the surface on any kind of building on on fences if you choose to use a stone adhesive (ex. 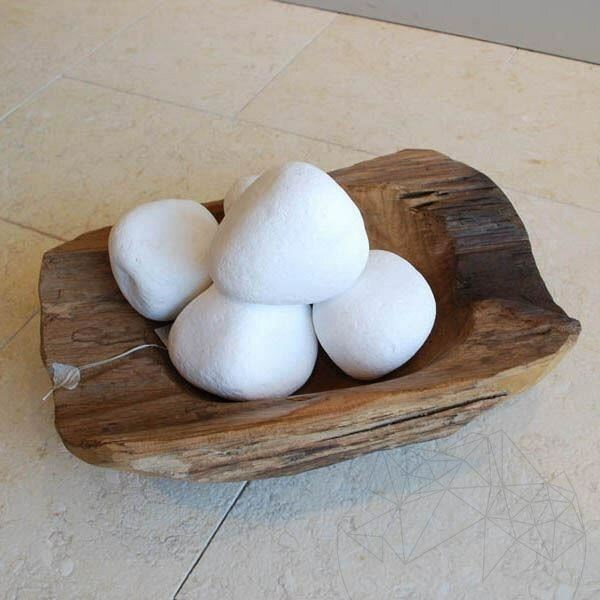 Weber Marmo.Plus). 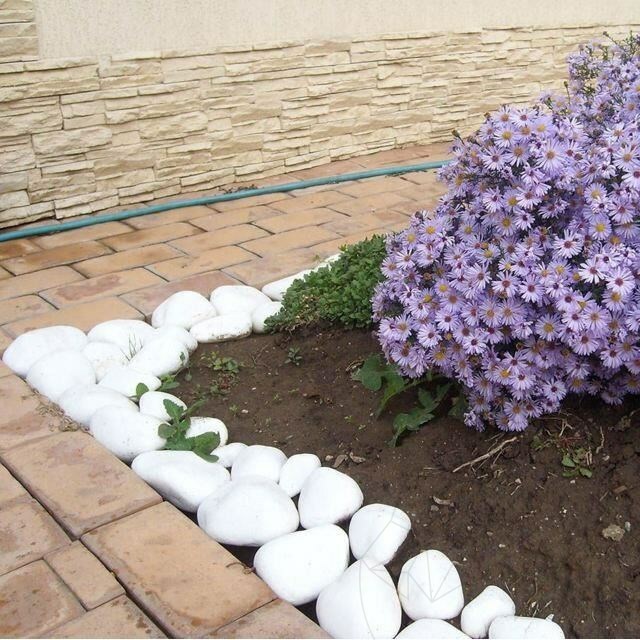 This product is suited for both interior and exterior arrangements. 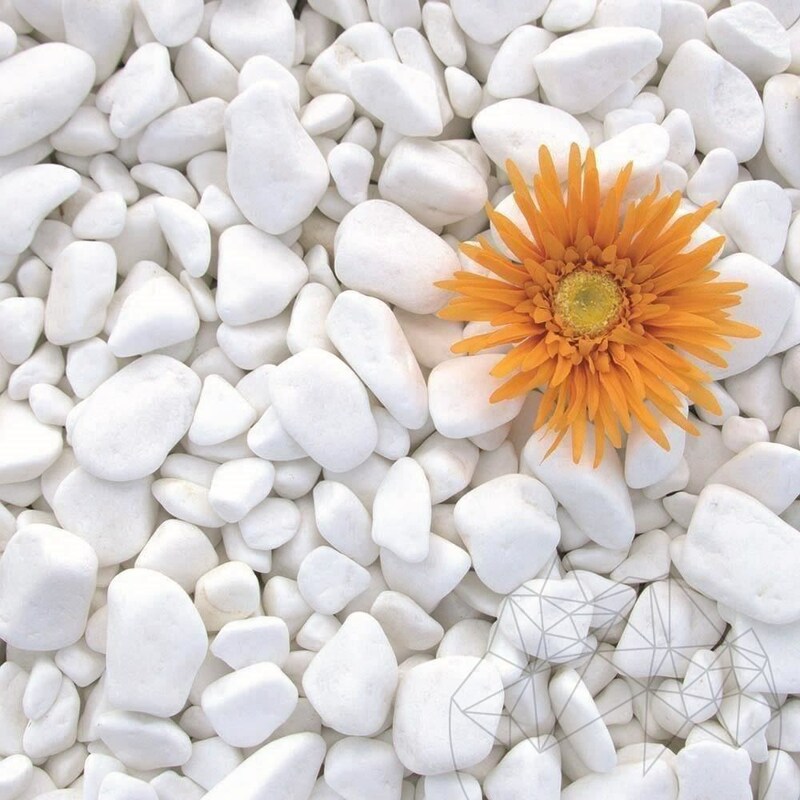 A perfect match with the cu DECO UNI (decorative mosaic spacer for outdoor arrangements)! 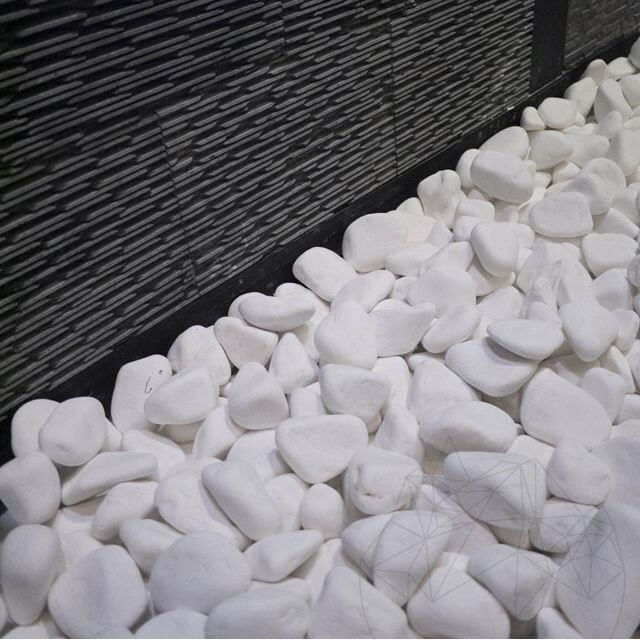 What type of natural stone can be used in the aquarium, a stone able to withstand the treatment. 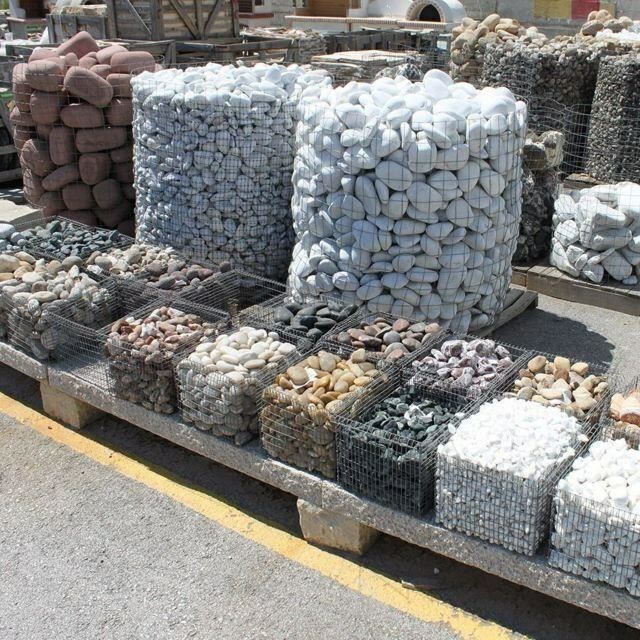 You can safely use any type of pebble stone from us. 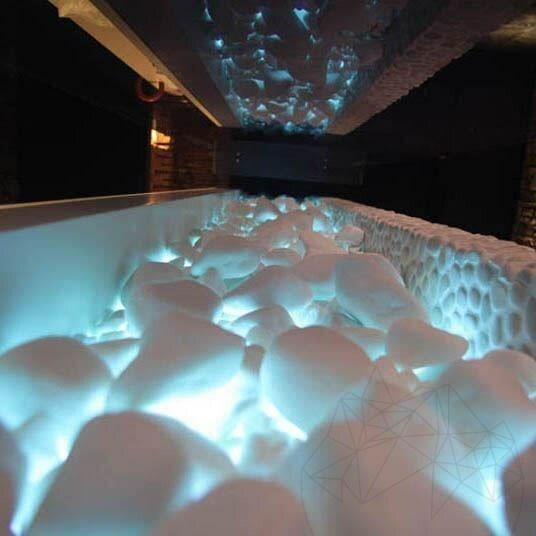 What surface can be covered with this? 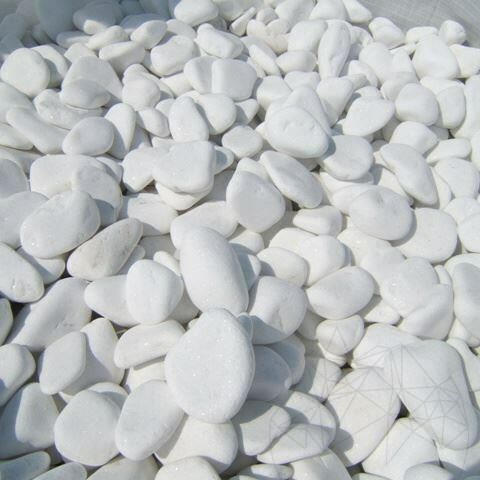 Depending on particle size, with 50 – 70 kg you can cover 1 sq. m, yet it all depends on coat thickness. How do you dispatch this merchandise? Is it packed in sacks? 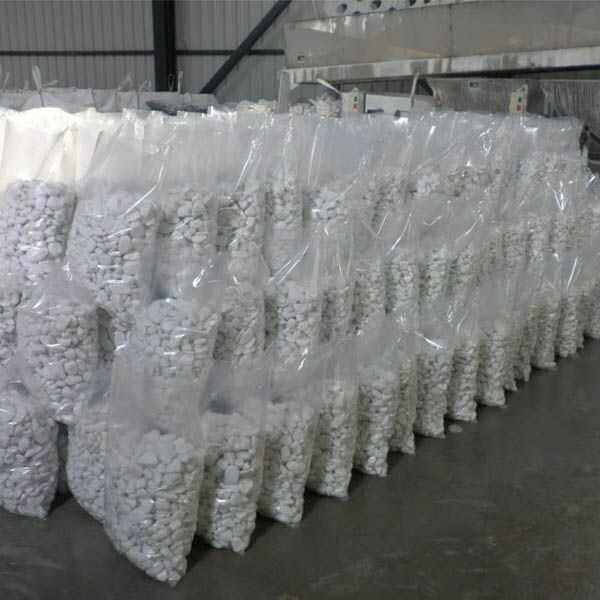 Product is packed in 20 kg sacks and we can dispatch it by courier. Shipping cost is determined based on delivery location and weight. I have a question. 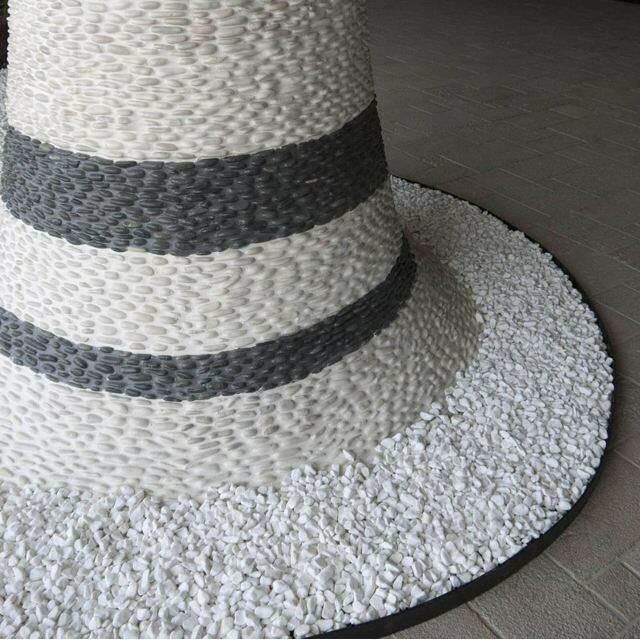 Black and white stone are only available in 20 kg sacks? Yes, this is the minimum quantity for ordering. 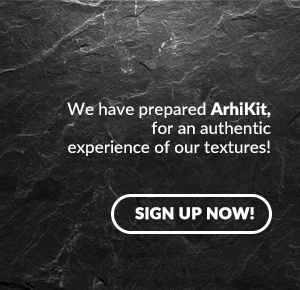 Depending on your project, we can also offer you larger quantities (tone) with a better price. 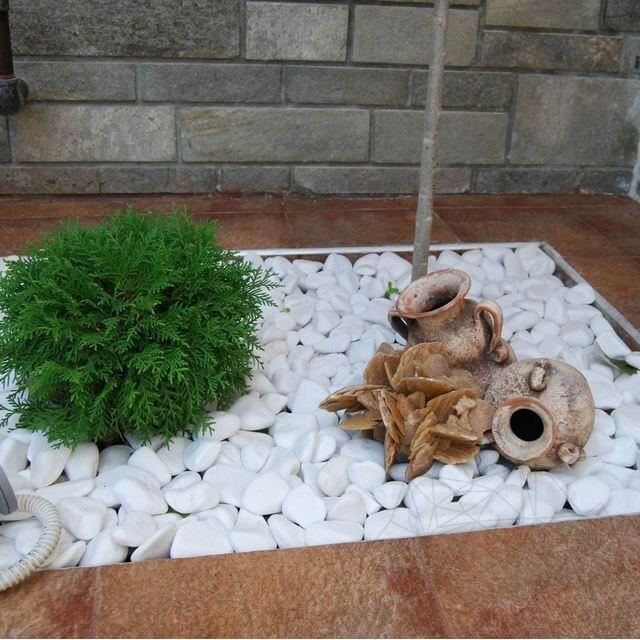 Is it possible to use pebble marble decorative stone as decoration for planters? 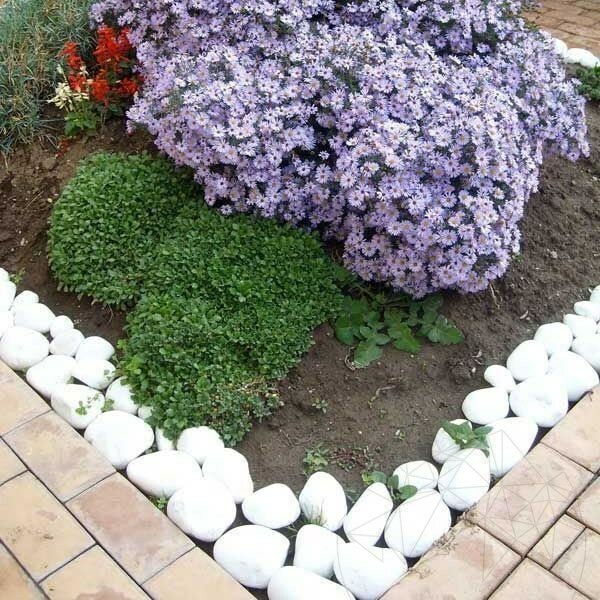 I'm considering placing it in planters above the soil, for keeping the cats away, because soil acts as a magnet for cats and I want to protect it. Sure, you can use it with no problems. 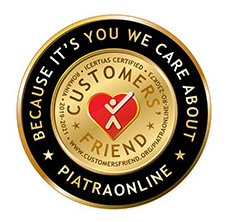 Order it online, by email: export@piatraonline.com or by phone: +40318.222.333.